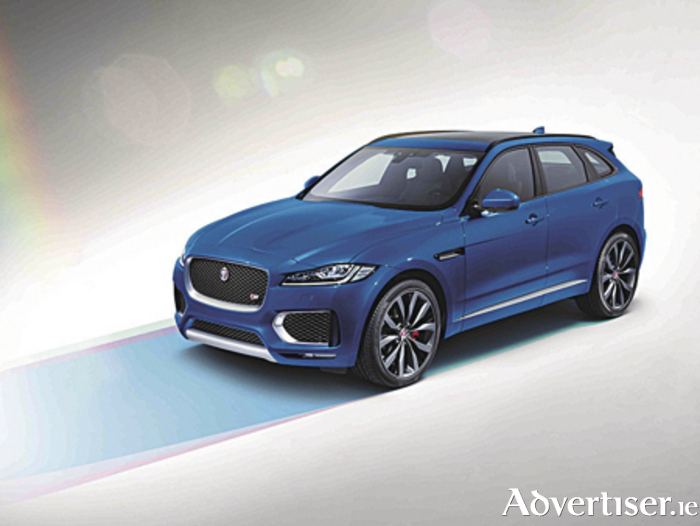 The new Jaguar F-Pace was revealed to the world with a spectacular gravity-defying performance on the eve of the recent Frankfurt Motor Show. The F-Pace showcased its dynamic performance credentials by completing the world’s largest 360 degree loop and, in celebration of Jaguar’s 80th anniversary, it lit up the city’s skyline with its dramatic C-X17 inspired silhouette. The Jaguar F-Pace is a performance crossover, designed and engineered to offer the agility, responsiveness and refinement that all Jaguars are renowned for, together with unrivalled dynamics and everyday usability. Developed using Jaguar’s lightweight aluminium architecture, the new F-Pace delivers on the promise of the breakthrough C-X17 concept vehicle and combines purity of line, surface and proportion with F-TYPE-inspired features, such as the powerful rear haunches, fender vents and distinctive tail light graphics. The bold front grille and the muscular bonnet hint at the performance potential of engines like the 380PS supercharged V6. Elements, such as slender full-LED headlights, forged 22-inch wheels and short front overhang, carry the design vision of the C-X17 concept through to production. The new F-Pace seats five adult occupants in absolute comfort with generous head and knee room, and the luggage compartment volume is an astonishing 650-litres. Infotainment and connectivity technology is industry leading. The premium InControl Touch Pro system is based around a 10.2-inch touchscreen, with a powerful quad-core processor and solid-state drive, and runs on ultra-fast Ethernet. The result is a user interface which is instinctive and extremely quick with sharp and incredibly responsive graphics. Up to eight devices can be connected to the vehicle’s super-fast WiFi hotspot at one time. The navigation system can save you time by learning your commute, offers true door-to-door guidance, and can even advise others of your arrival time. Navigation can also be shown full-screen in 3D in the 12.3-inch HD virtual instrument cluster. The lightweight aluminium architecture gave the Jaguar design and engineering teams – now recognised globally as leaders in aluminium technology and design – the ideal starting point. It was created from the outset as a modular structure, so the wheels can be positioned exactly where they are needed to deliver the proportions, dynamics, and practicality essential for a performance crossover. The wheelbase and track are not shared with any other Jaguar. At 4,731mm long and with a 2,874mm wheelbase, the new F-Pace offers the sleek profile and short front overhang characteristic of Jaguar design together with an exceptionally spacious interior.